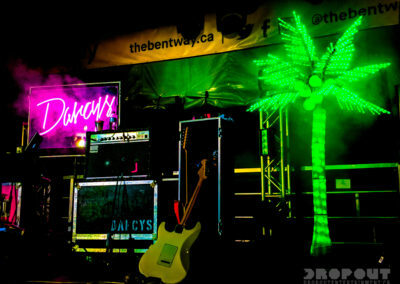 Most likely the Darcy’s first time headlining a show underneath the highway, The Darcys got people dancing at a party sixty years in the making. 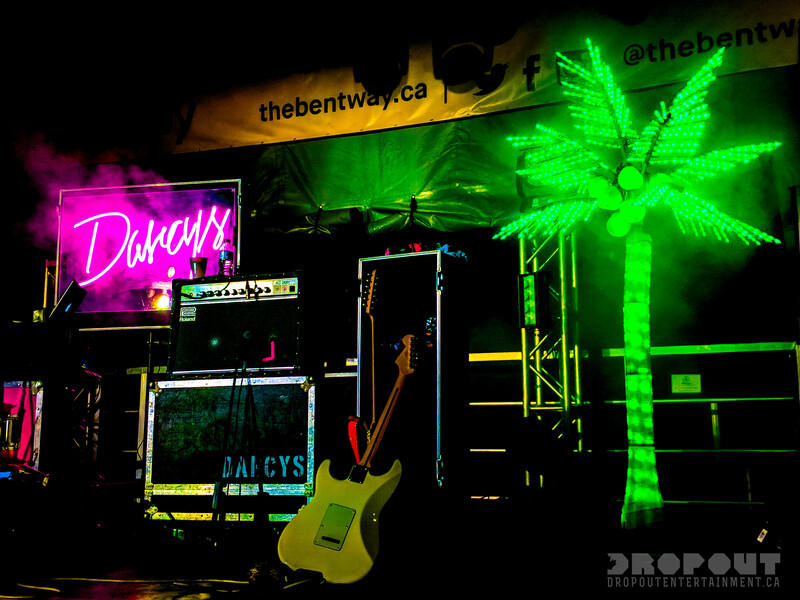 The first section of the Gardiner Expressway opened in 1958. 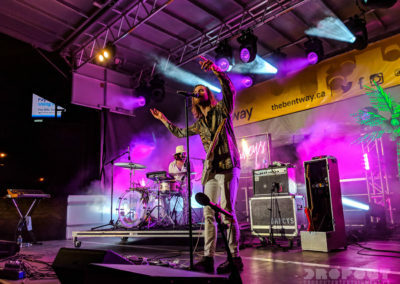 The first section of The Bentway opened in January 2018. 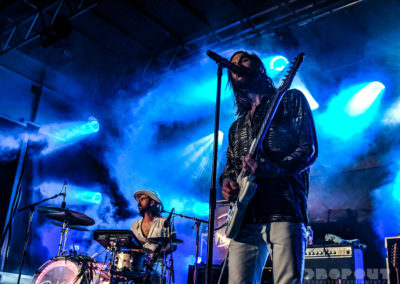 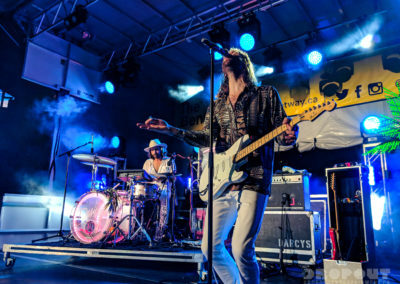 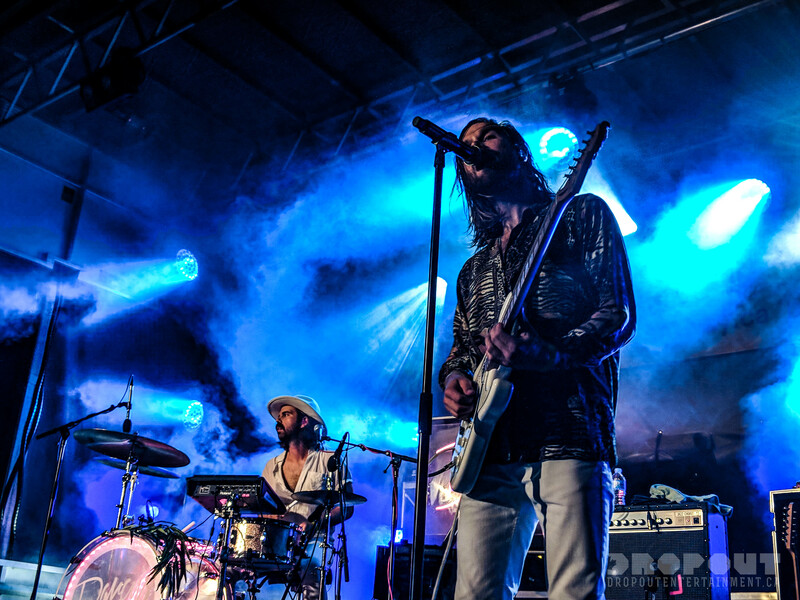 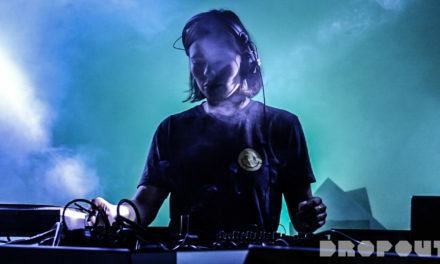 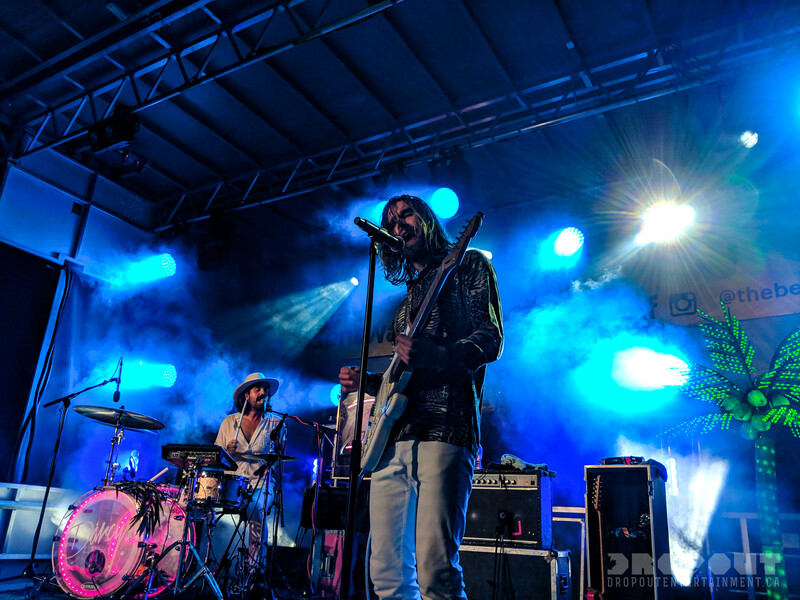 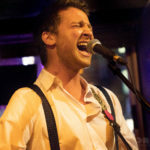 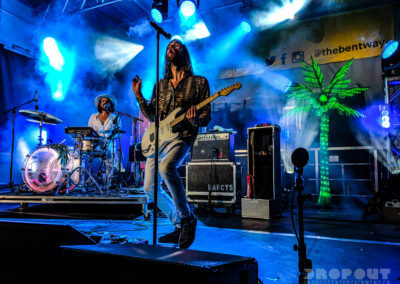 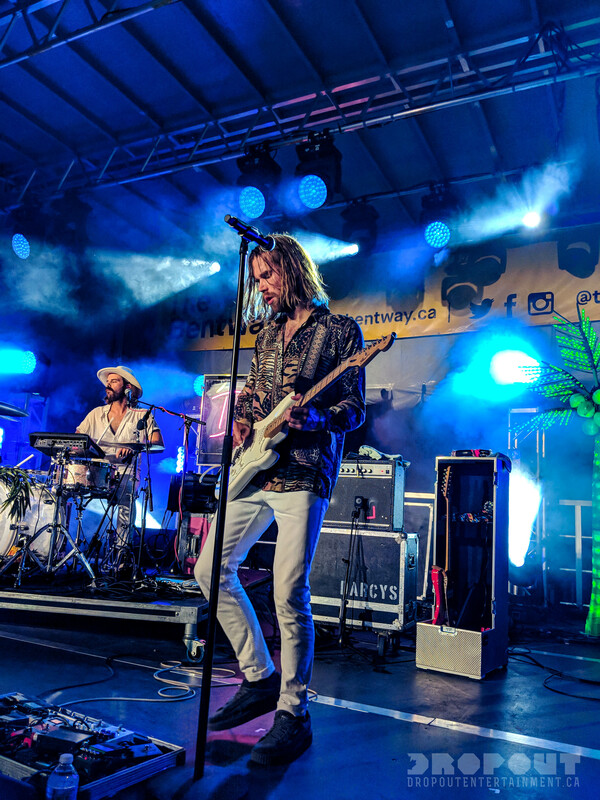 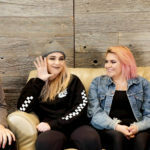 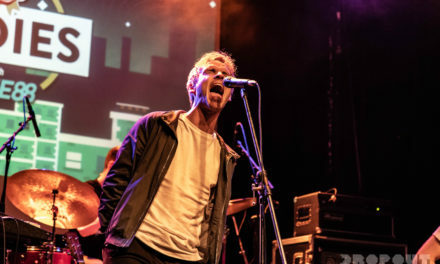 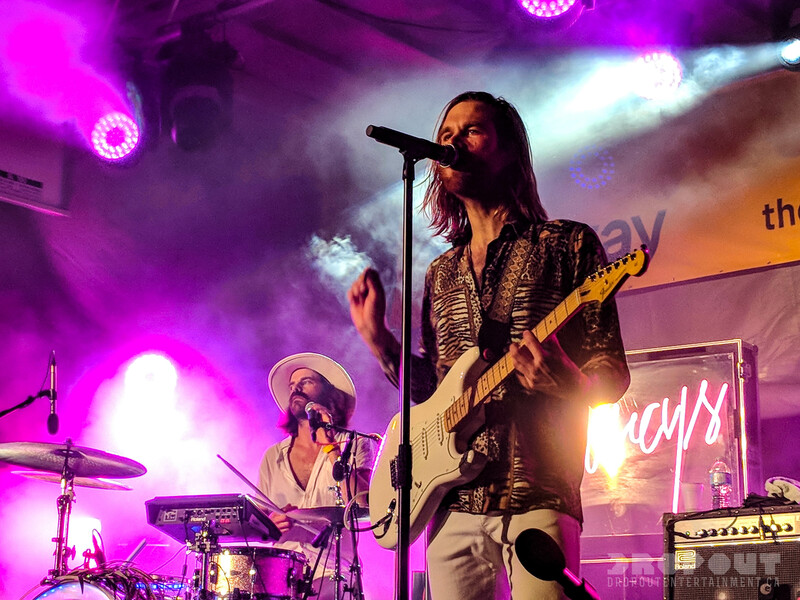 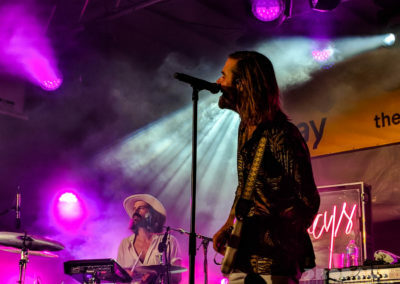 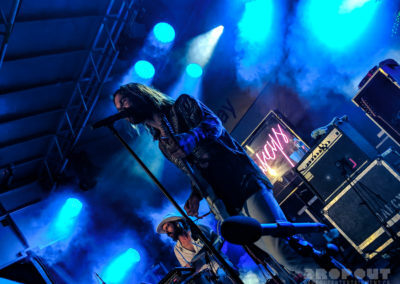 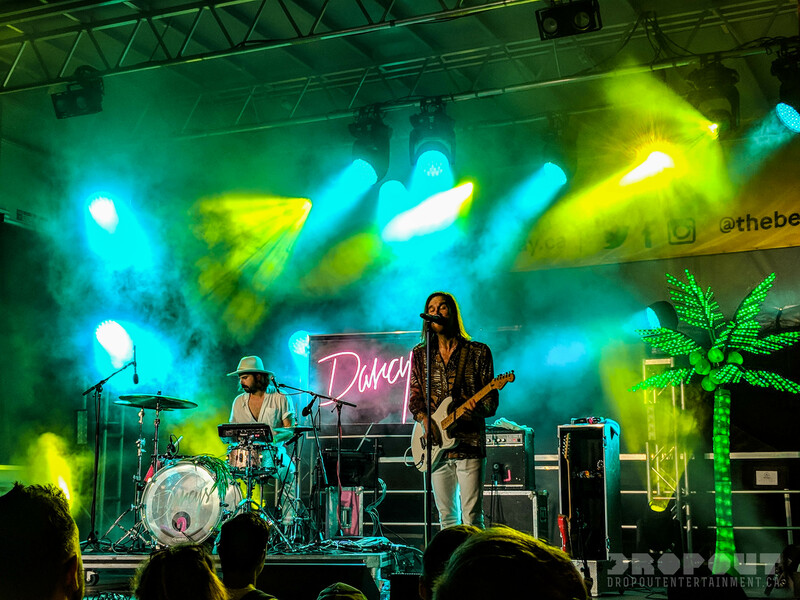 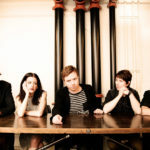 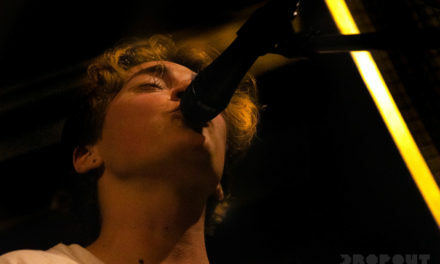 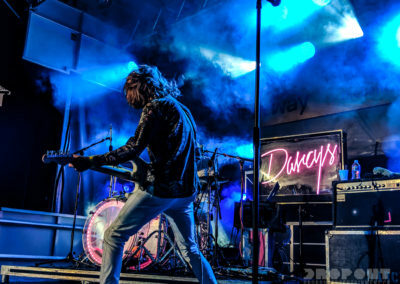 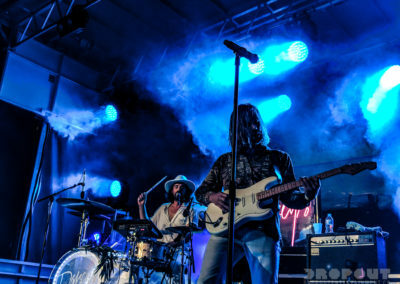 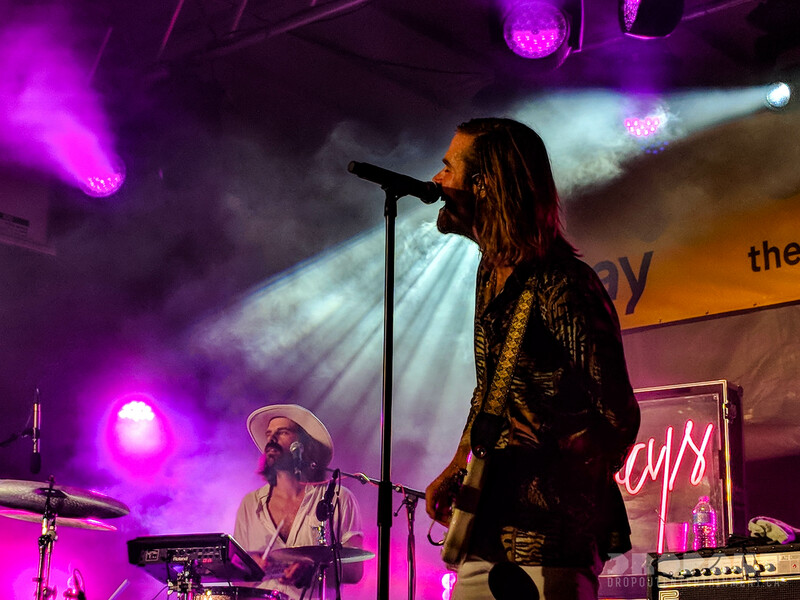 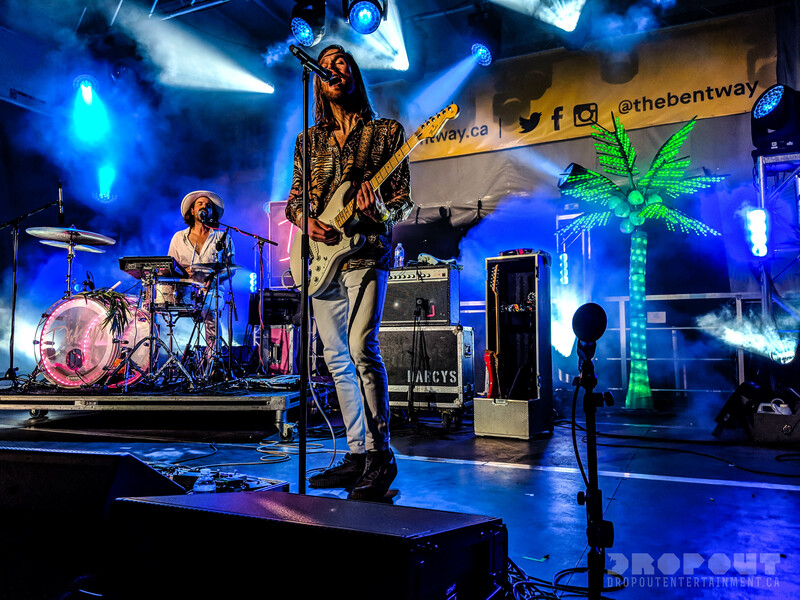 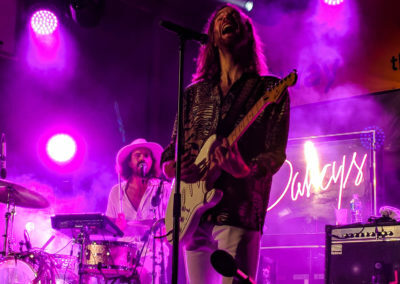 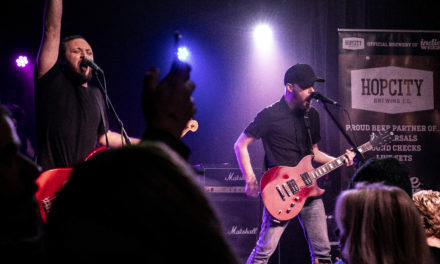 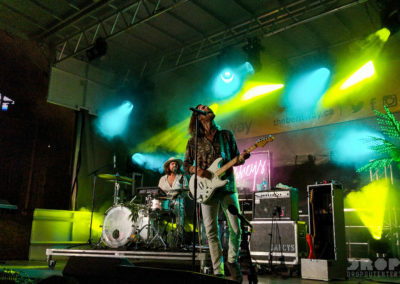 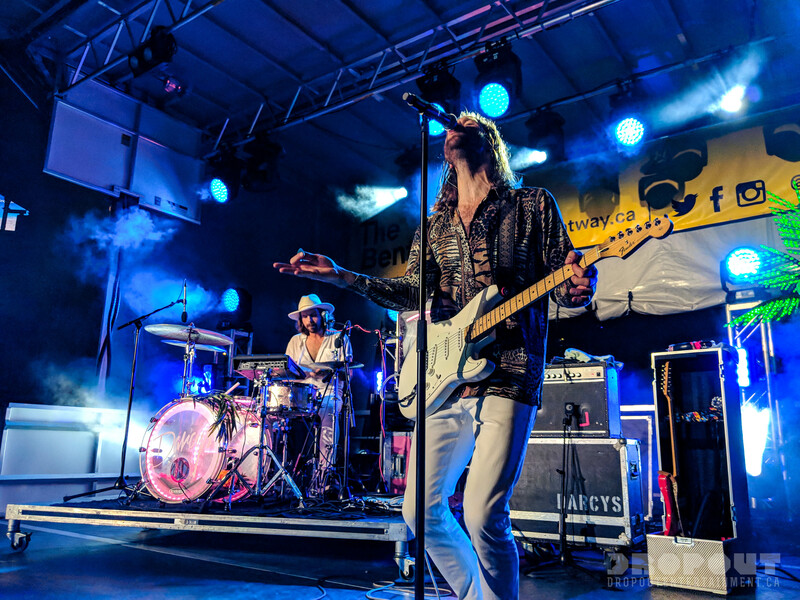 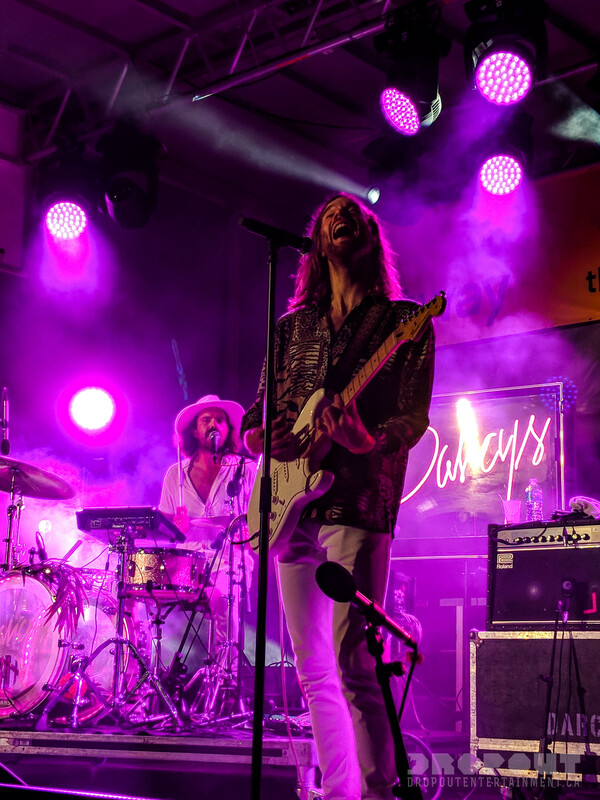 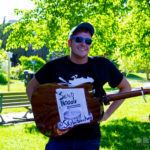 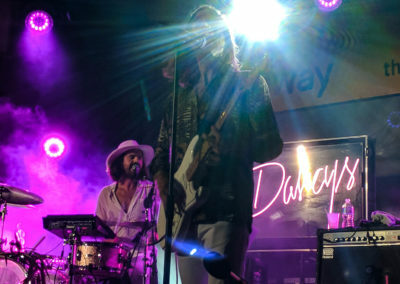 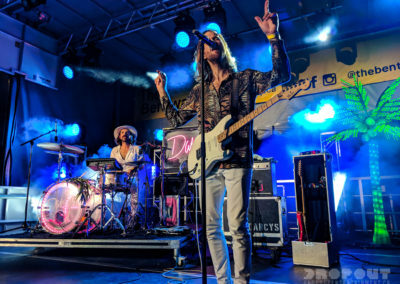 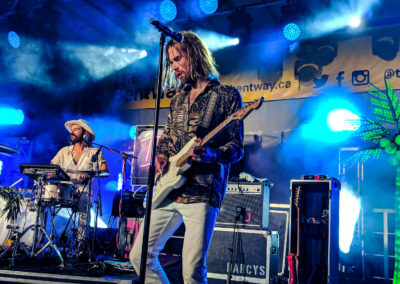 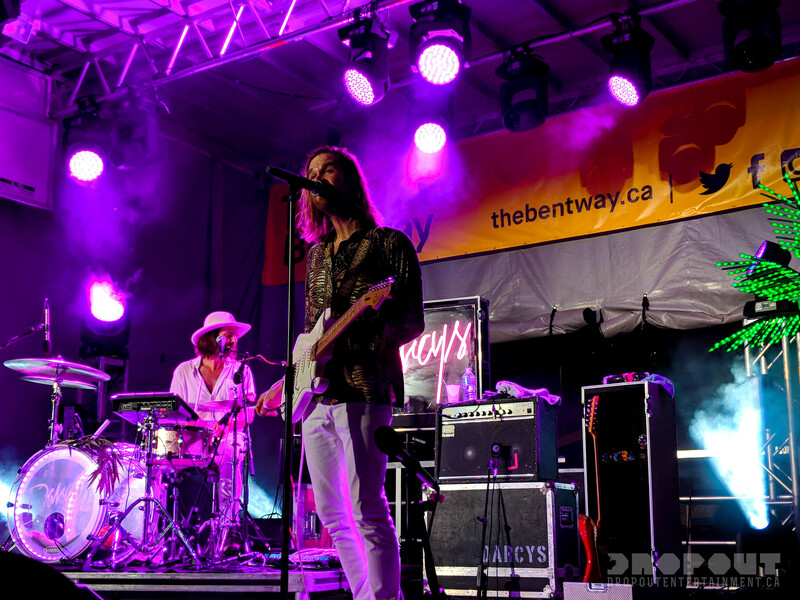 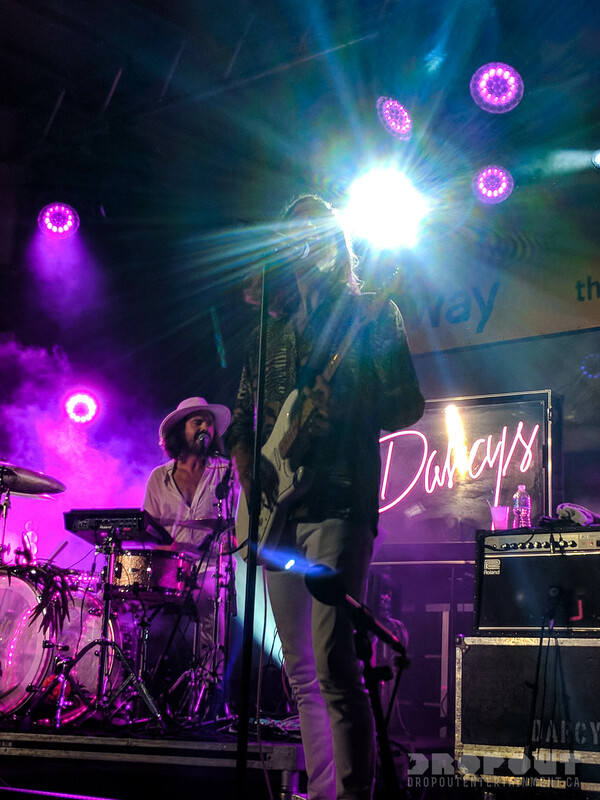 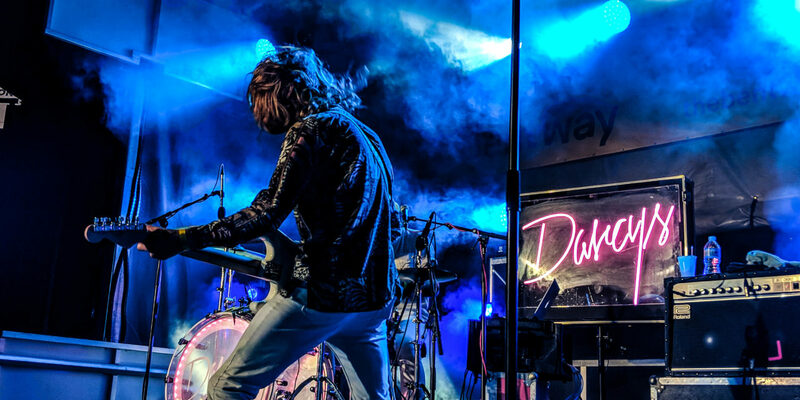 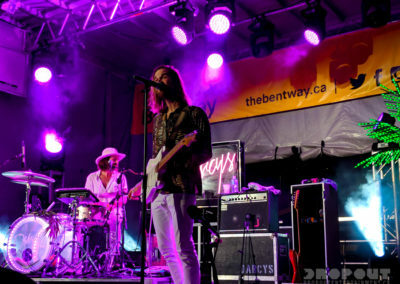 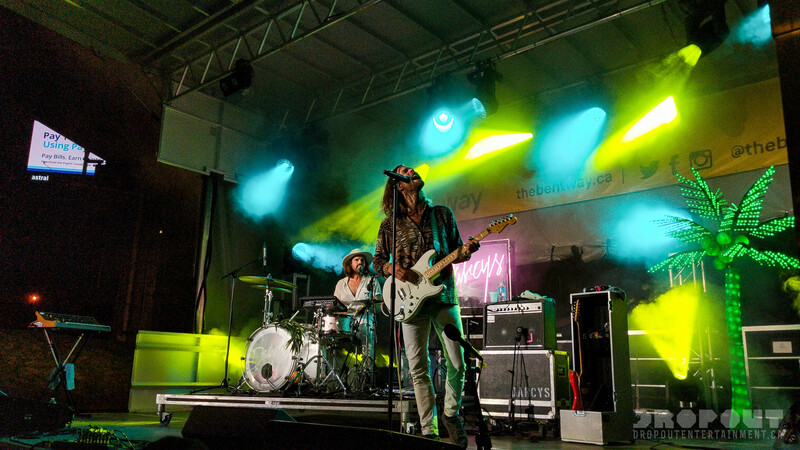 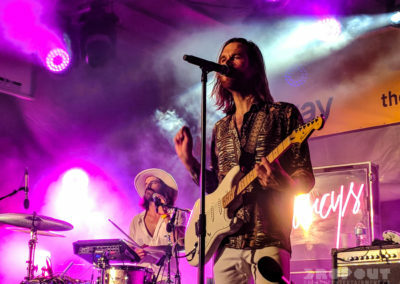 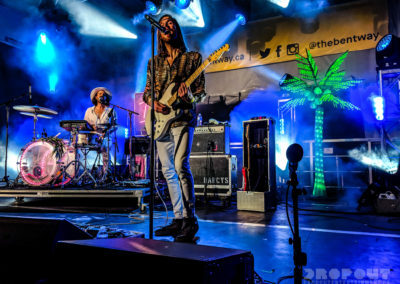 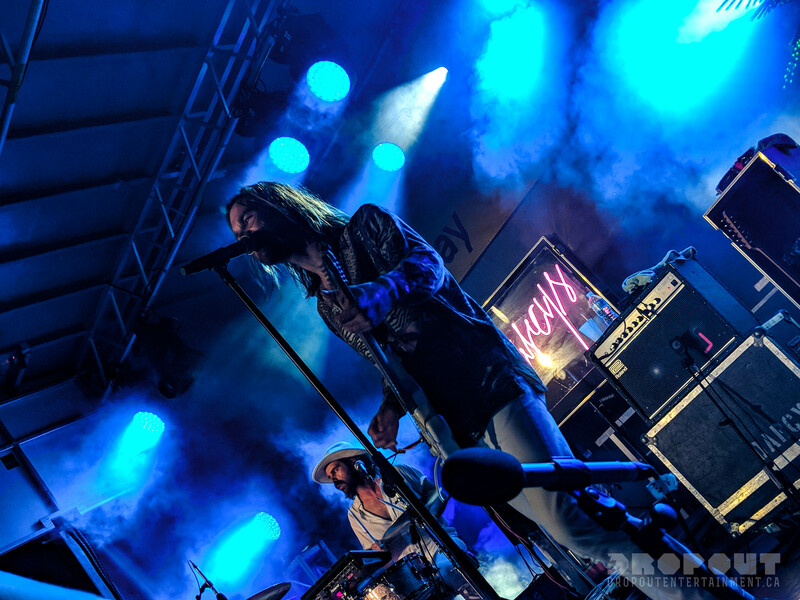 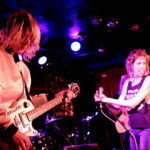 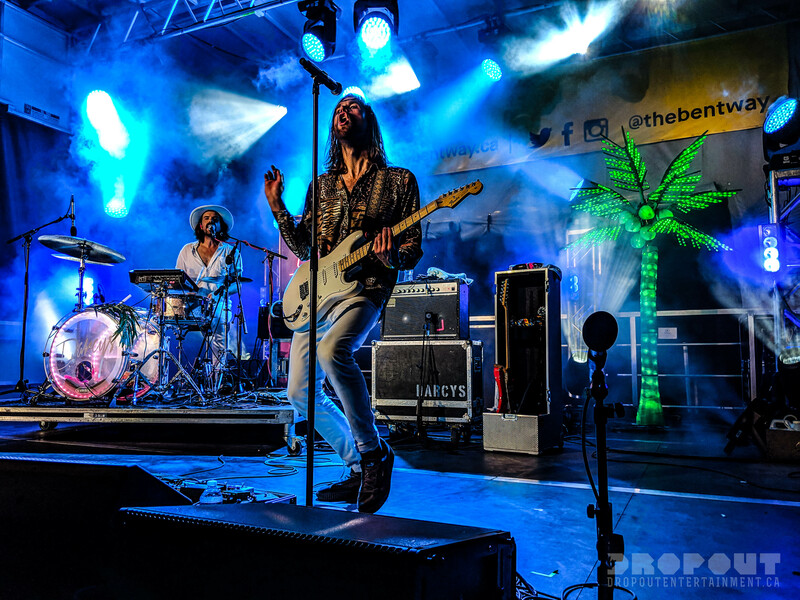 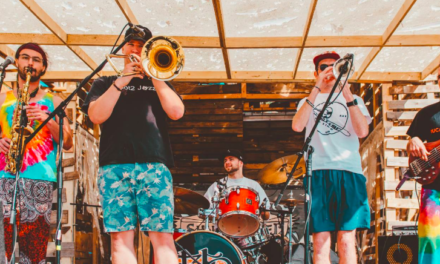 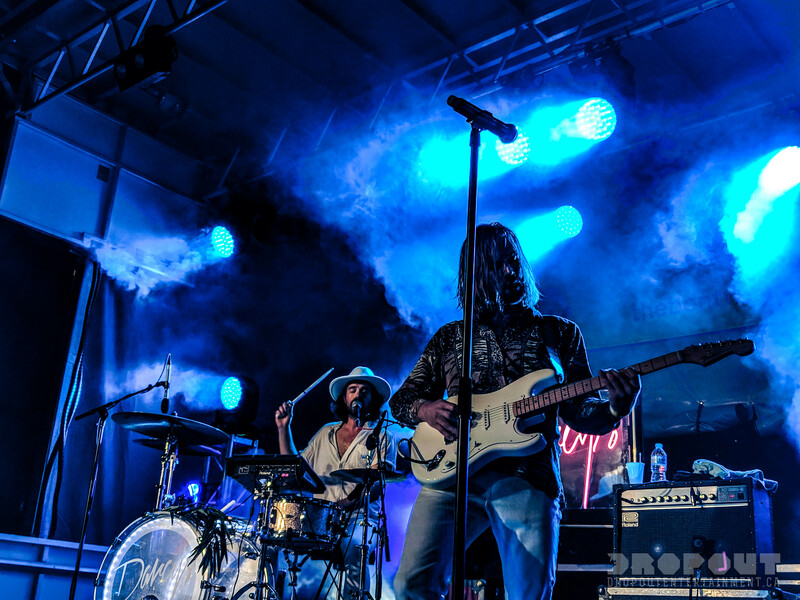 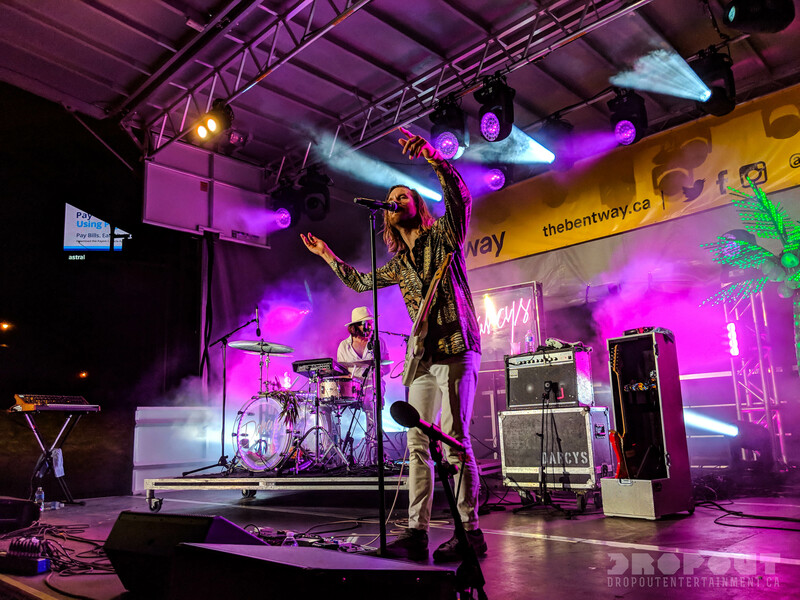 To celebrate the completion of the entire Phase 1, The Bentway threw a block party that featured the Canadian art rock band alongside Monowhales, Brave Shores and Myles Castello. 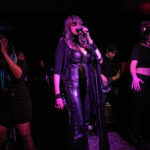 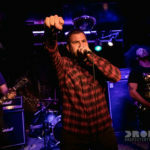 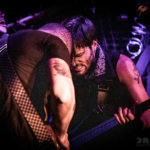 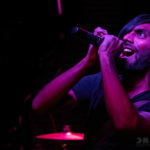 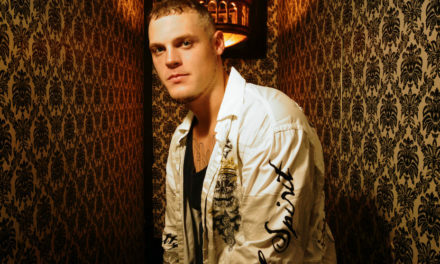 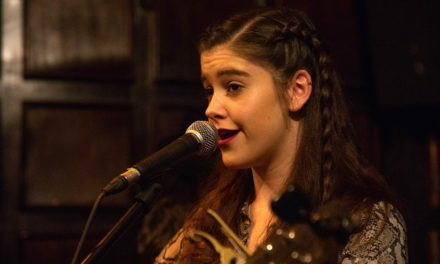 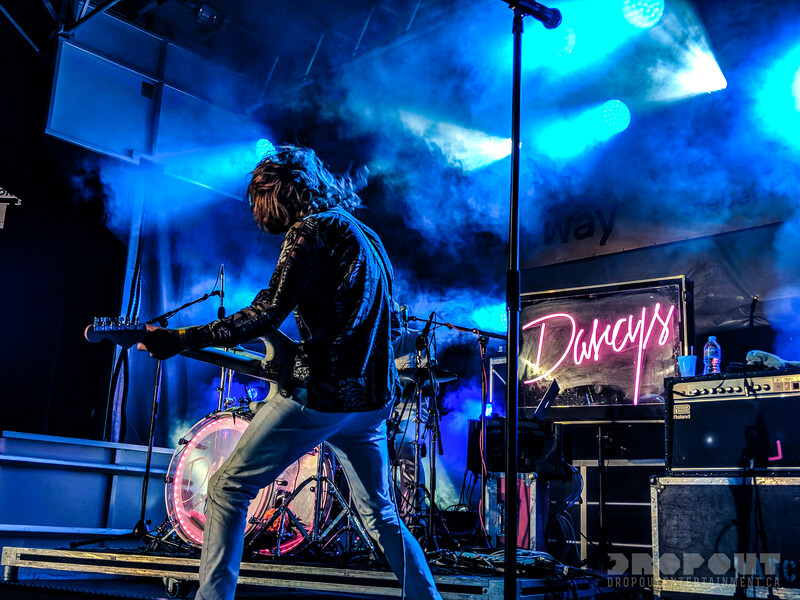 Here’s a few pics we snapped of the Darcy’s set. The party featured traditional family games and activities in a Kids Zone; an open air arcade by Hands Eye Society; roaming live musical performances; dance workshops followed by a streetdance competition presented by Funky Facilitators; a human Bent parade designed by Rob Shostak that will also serve as a photo booth and selfie-station; large-scale art installations including a gigantic giraffe piñata by Gensler; and various food and beverage delights. 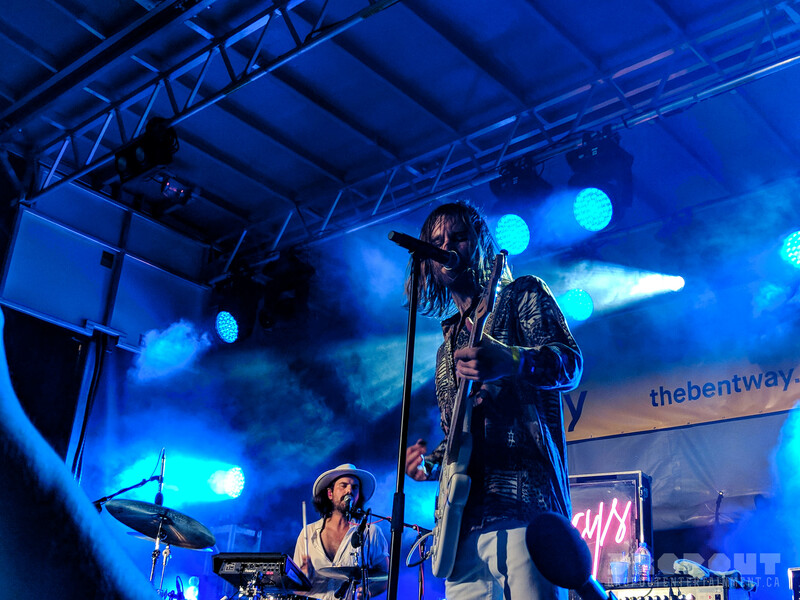 The Block Party also celebrated the opening of the Strachan Gate, designed by Public Work, with Gensler at the west end of the site. 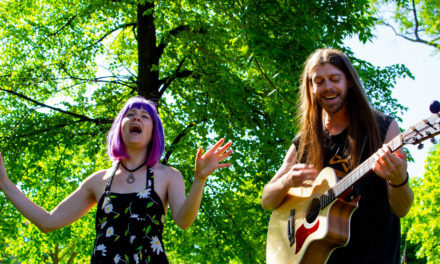 A grand, cascading wooden staircase and open-air Amphitheatre, the Strachan Gate serves as the main entrance to The Bentway, directly from Strachan Avenue, and doubles as an intimate performance space which can accommodate approximately 250 people.